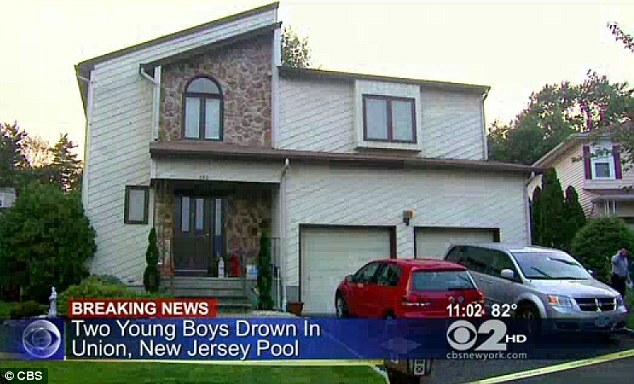 Officials in Union County, New Jersey, are investigating whether the mother of two boys who drowned in a neighbor’s pool was guilty of neglect. But Guerdine Francois, the boys’ mother, is speaking out about her innocence and unspeakable loss. ‘I fell asleep and when I jumped up, I screamed,’ she said, reliving yesterday’s nightmare. Police said Mrs Francois fell asleep around 3 p.m. and when she woke up at 6:45 p.m., Kendell and Kenley Francois were gone. A photograph of the boys is now taped inside the window of their home. 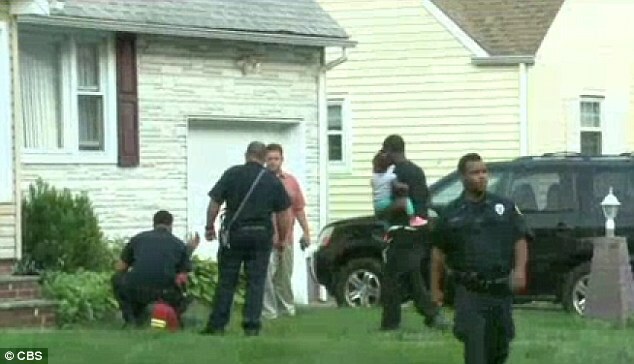 The frantic mother called police to report the missing boys as soon as she awoke, who began to comb through the neighborhood. ‘We were all in the house relaxing and playing,’ Mrs Francois, said to the Star-Ledger inside her family home on Amherst Avenue. Officers Keith Brochu and Rob Donnelly arrived at her home, according to the Star-Ledger, and saw a four-foot high fence leading to an adjacent backyard. Peering over the fence, the officers saw the two boys at the bottom of the neighbor’s in-ground pool on Parkside Drive. The officers jumped into the water and pulled the children from the deep end and tried to revive them. They were taken to Overlook Medical Center in Summit and were pronounced dead at 8:17 p.m. Prosecutors believe the boys scaled the fence that separated their yard from their neighbor’s, but are still investigating whether or not the case is a homicide. ‘Anytime there’s a pool accident, you have to look into if there’s any neglect by anyone,’ Union County Prosecutor Theodore Romankow said last night to reporters by the scene. 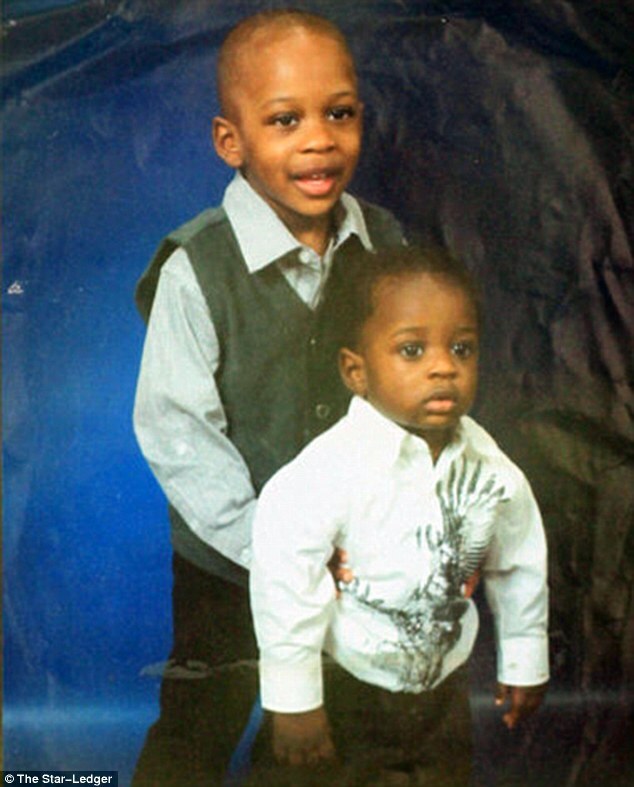 They are seeking a search warrant of the boys’ home to look for evidence of neglect. They declined the MailOnline’s request for a formal history of police activity at the address. 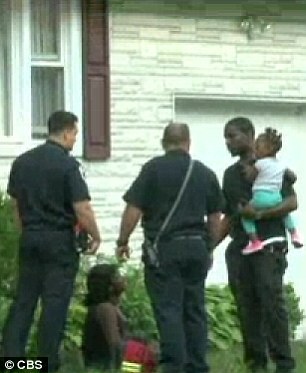 A video of the mother by CBS shows her collapsed on the ground while talking to police. ‘She said, “Sandy, I think they’re dead. 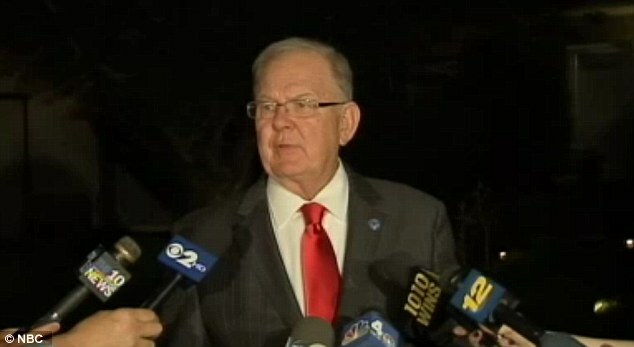 They’re dead,”‘ neighbor Sandy Dandrea said of the boys’ mother. Officials said that an autopsy of the boys will be performed today. Officials told the MailOnline that they are are looking at every possible lead as to how the boys died, canvassing the entire neighborhood and questioning any and all people who may have been involved. ‘I heard them playing. I heard them playing, but I thought they were in their own backyard. I’m devastated. My heart is beating so fast. I can’t believe it,’ neighbor Elizabeth Makhanda said to CBS. Another neighbor, Pedro Semedo, 38, said he was thinking about putting a pool in his backyard. Since the incident, he’s reconsidering. Donald Garrison, who lives across the street from the family, told the MailOnline that he hopes the police do not pursue their investigation. This is the fourth drowning incident so far this month in New Jersey.